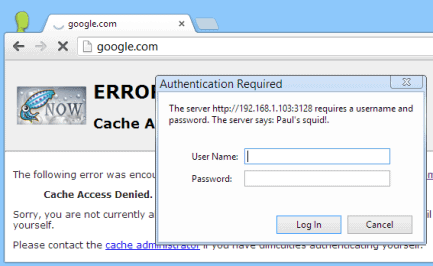 Quickly and easily set up Squid proxy cache server in Azure using the Squid Proxy Azure marketplace listing. 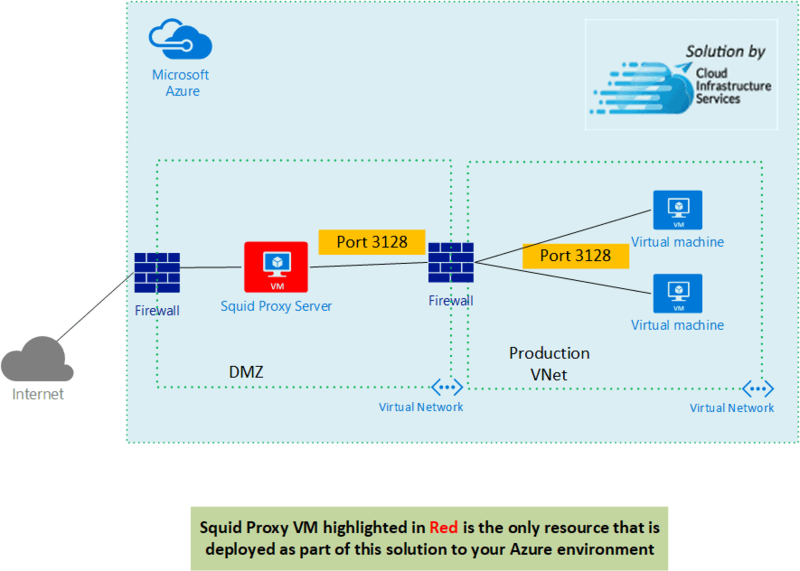 Our Squid proxy comes fully configured ready to start using in your Azure tenant. Access control list is set to allow 10.0.0.0/8. This can be changed to allow your networks, instructions below. 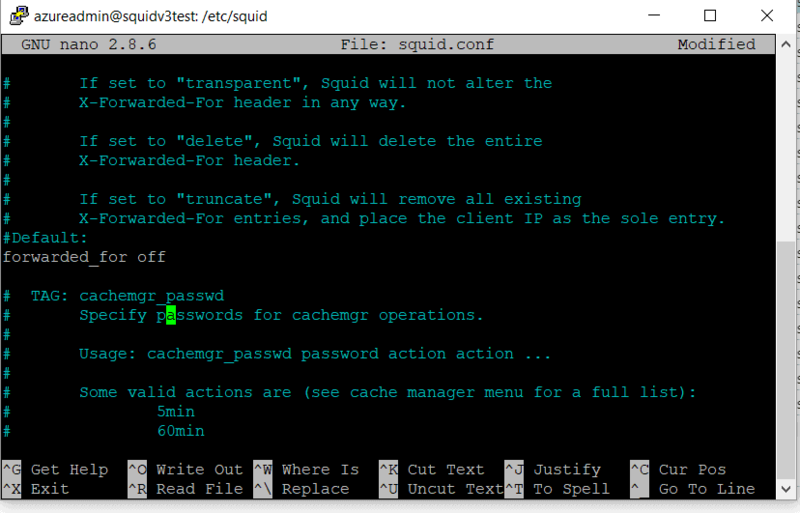 We’ve configured the azure virtual machine Squid config file (squid.conf) and tuned it for high performance with the following tweaks that can be changed. 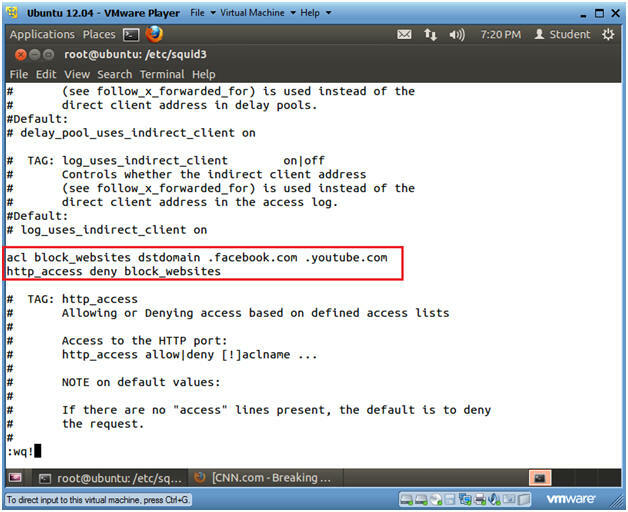 To use the proxy, you’ll first need to define which networks are allowed access to use your Squid proxy. By default network 10.0.0.0/8 is enabled. This can be disabled if you don’t want to allow this network. 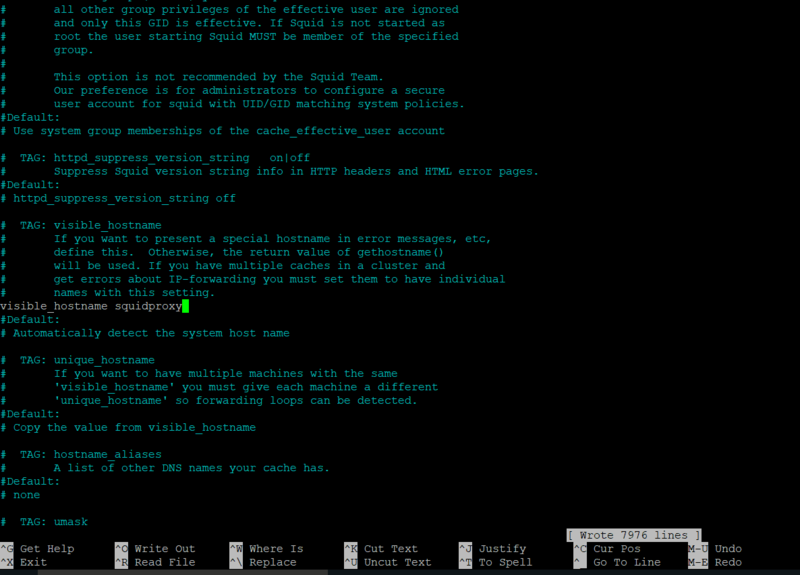 First SSH into your Squid Proxy using the admin credentials you supplied during the provisioning of the VM. You can download Putty, a free tool to SSH into your linux server. You should now see the nano gui editor allowing you to make changes. Press Ctrl+W on your keyboard which opens up the search function. By default we’ve allowed 10.0.0.0/8. 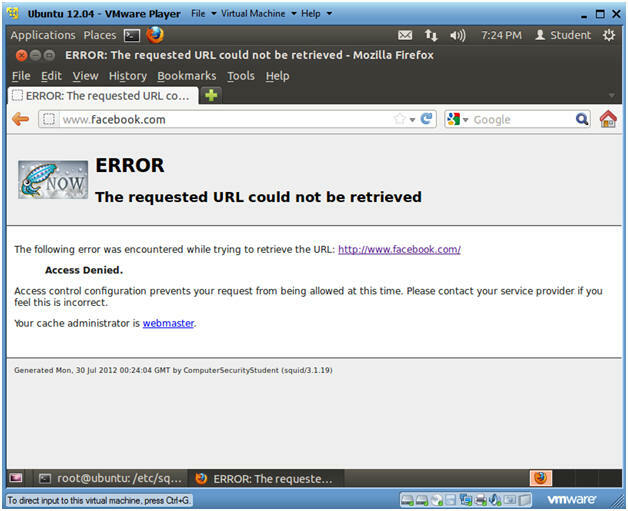 To block access to this network simply put a # infront of the acl. In our config we call our network (localnet), you can use any name to identify your networks. Add as many lines as needed depending on how many networks you’ve defined. When complete, press Ctrl + O to save changes and then Ctrl + X to close the nano editor. 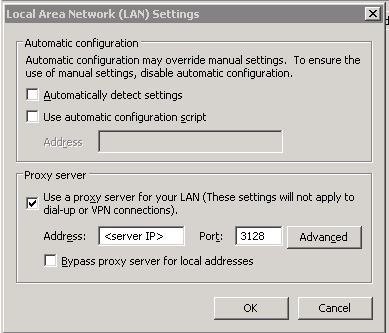 Users can now connect to the proxy by updating their browser proxy config and putting in the IP address and port (3128) and start using the proxy to access the internet. This option sends an email to the administrator when Squid encounters a problem. Very useful to have to monitor the health of your server. 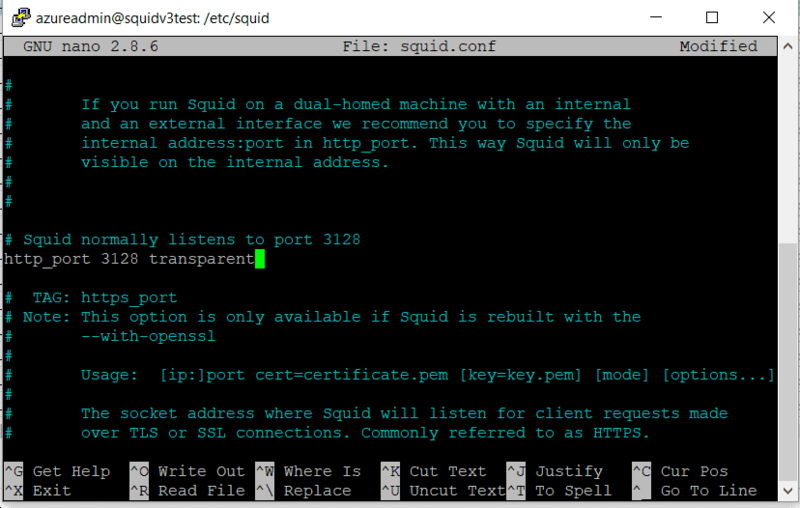 If you want to change the default port of 3128 to another port, or add and extra ports simply open up the Squid.conf file via the nano editor as i showed you in my previous step and search for – http_port 3128 and replace with your desired port. 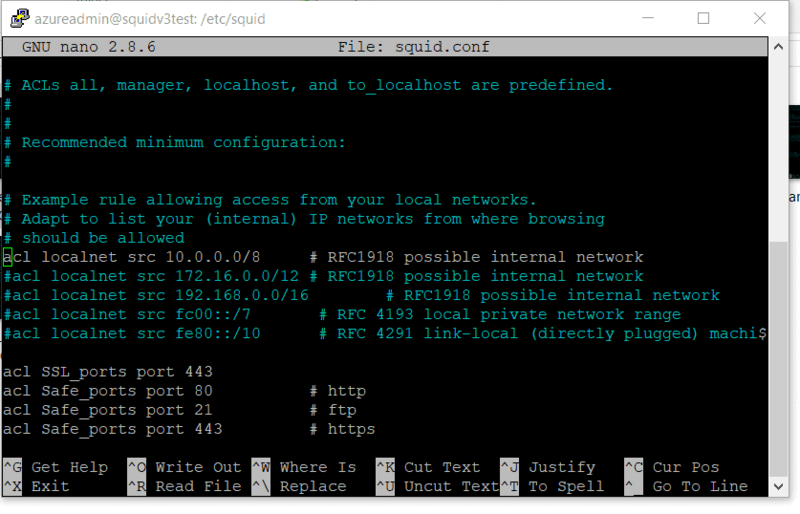 To change the hostname that users will see on the proxy error page, simply do a search for visible_hostname within the squid.conf file and replace with your desired host name. 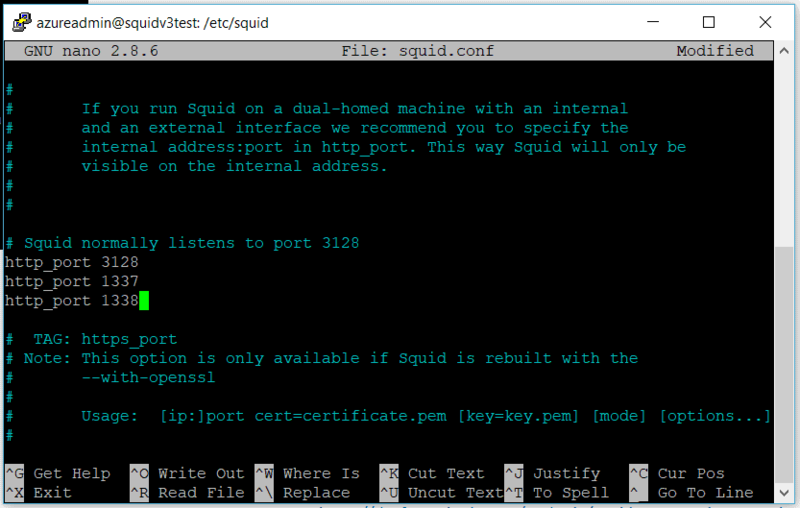 The default hostname is SquidProxy, simply replace that with your new name. Using the nano editor do a search for the text TAG: http_access. Lets say for example we want to block facebook.com and youtube.com. Add a new new line above the text TAG: http_access as below and add the following lines. 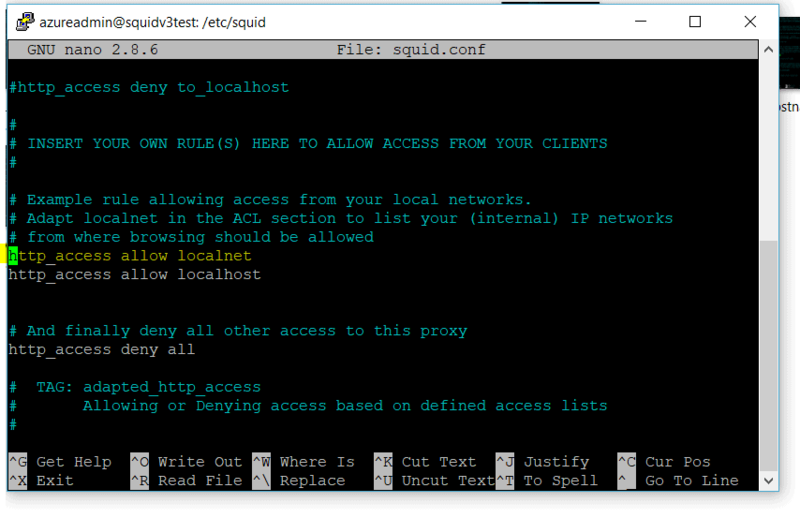 By default squid forwards the client IP to the respective website, but to set up an anonymous proxy we will disable it to hide client IPs and send only IPs which are configured on the squid server.